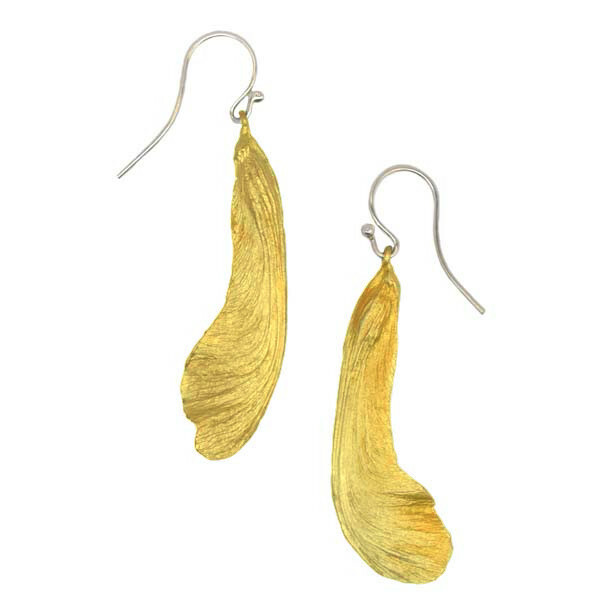 Samara single earrings in a gold finish, start out being cast in bronze. Designer, Michael Michaud with Silver Seasons Jewelry collection creates these stunning beauties from actual botanical specimens. Earrings feature a french hook and measure approximately 2" in length. Made in the USA.